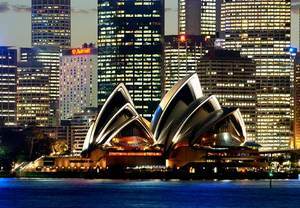 SYDNEY, AUSTRALIA--(Marketwire - Nov 1, 2012) - The best gifts come wrapped in pretty packages, and the Sydney Harbour Marriott Hotel at Circular Quay, a 5-star hotel in Sydney, has a few that you'll be excited to unwrap. At the top of the list of packages at this hotel near Sydney Harbour Bridge is the Fairytale Package, a magical getaway for the fashionable and fashion-loving. With this fun package, available from $199 AUD per person (2-night minimum), you'll get accommodations in a newly renovated Deluxe Opera-view room, a $200 AUD voucher to shop till you drop at PeepToe, a luxury footwear boutique, a limousine transfer to the store in Sydney and macarons and a bottle of Moet et Chandon when you return from your shopping spree. To book the Fairytale Package, visit http://fairytalepackage.com or call 1-800-251-259 in Australia; be sure to enter/ask for promotional code P91. Treat yourself with the Retail Therapy Package, offering accommodation in a city-, partial- or Opera House-view room, a full buffet breakfast for two at Icons Brasserie and valet parking. Rekindle the romance with the Couples Getaway, offering accommodation in a one-bedroom suite with spa or executive suite, a bottle of Moet et Chandon, chocolate-covered strawberries, buffet breakfast for two at Icons Brasserie, valet parking and a late checkout time of 2pm. Recharge with the Revive Package, which includes accommodations in a newly renovated room, buffet breakfast for two at Icons Brasserie, a travel gift pack, a twin pack/two bottles of De Bortoli wine to take home, valet parking and a late checkout of 2pm. Mix business with pleasure with the E-Bundle Package, offering newly renovated accommodations, 20 local phone calls per stay, wireless Internet and buffet breakfast for one at Icons Brasserie. For more information or to book any of the above packages, available at this hotel near the Sydney Opera House, visit www.marriott.com.au/Channels/marriott.mi?page=AU_Hotel-Specials. Overlooking the iconic Sydney Opera House and the Sydney Harbour, the 5-star Sydney Harbour Marriott at Circular Quay is the perfect choice for your next visit to this amazing city. This waterfront hotel, in the heart of downtown, underwent a multi-million dollar renovation in 2011, giving it a new look and upgraded amenities while maintaining the personalized service that's made it a favorite with both business and leisure travelers. Accommodations offer picturesque harbor views, large desks, high-speed Internet access, coffee/tea service and luxurious bedding including 300-thread-count linens and down duvets. Rooms come in king or double configurations, and executive-level rooms include exclusive lounge access. Located just steps from top shopping and the cobblestone streets of the historic Rocks district, this business-friendly hotel features more than 1,400 sq. ft. of meeting and event space. The head concierge is available to offer suggestions for exploring the city including the Sydney Harbour BridgeClimb and shopping at Castlereagh Street or Pitt Street Mall. This luxury hotel offers a number of facilities including the Level 4 Health Club with fitness center, indoor pool, sauna and full-service spa with an array of treatments. In-house dining includes a delicious seafood buffet at Icons Brasserie, coffee and cocktails at Macquarie Lounge and the historic, 162-year-old Customs House Bar. Overlooking the iconic Sydney Opera House and the Sydney Harbour, the 5-star Sydney Harbour Marriott at Circular Quay is the perfect choice for your next visit to this amazing city.